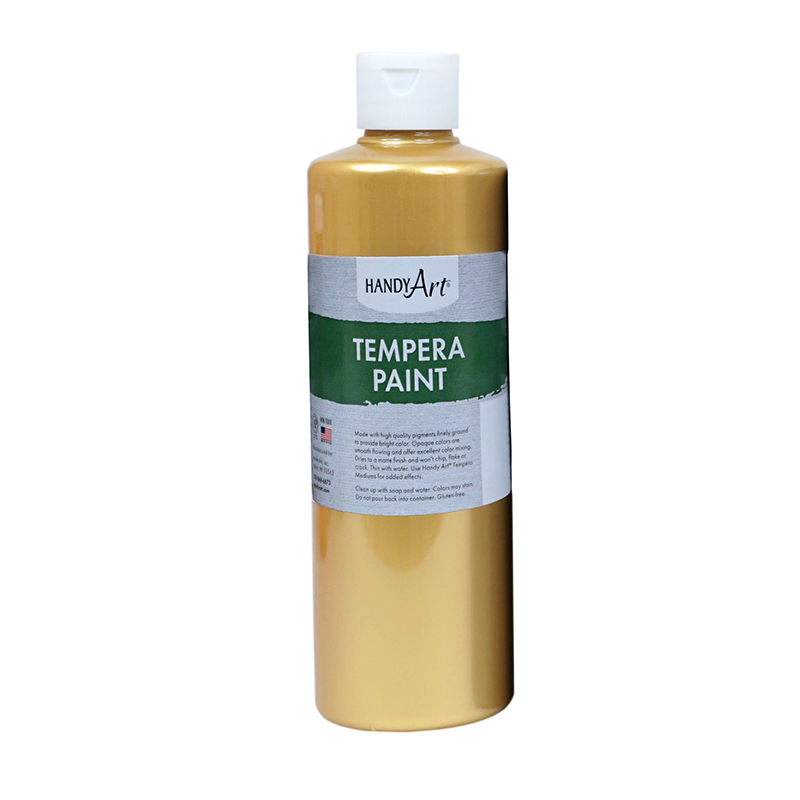 Metallic Tempera Paint offers excellent opacity and coverage and adds a lustrous gleam on art, craft and school projects! 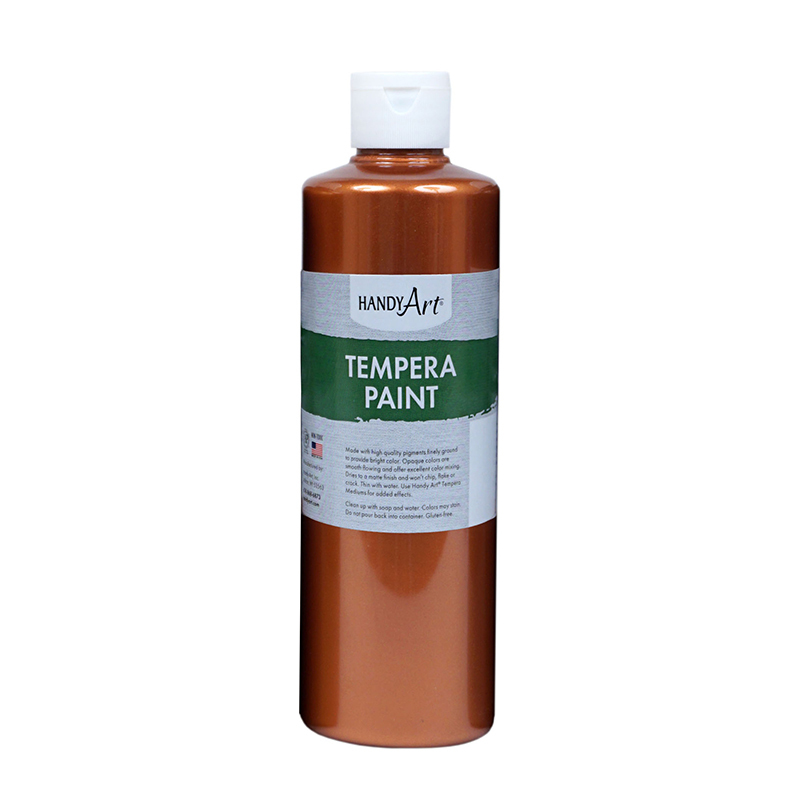 These creamy temperas can be used on surfaces such as paper, poster board, cardboard, wood and papier-mache. Paint dries to a matte finish and won't chip, flake or crack when dry. 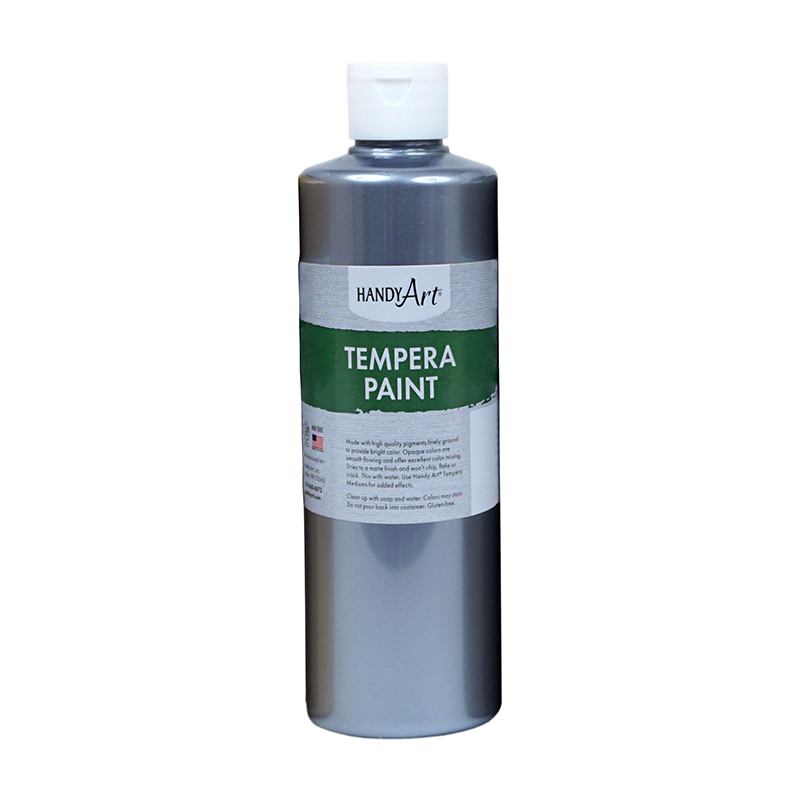 Paint is non-toxic and water based and cleans up easily with soap and water. Made in the USA. Certified AP Non-Toxic. 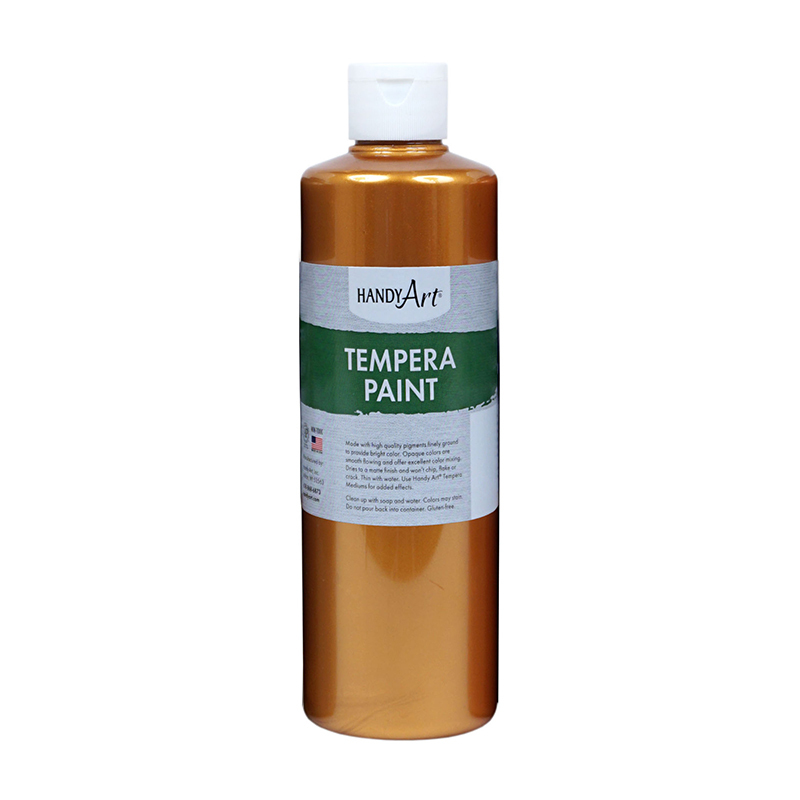 The 16oz Metallic Gold Tempera Painthandy Art can be found in our Paint product category within the Arts & Crafts.